The terrifying Night King sits astride the resurrected dragon Viserion as they charge into Westeros. Funko brings the Night King and Viserion to Pop! with glowing blue eyes, the tattered wings of an undead dragon and an all-new frosty coloring. The Seven Kingdoms have never seen something so frightening, and neither has your collection. 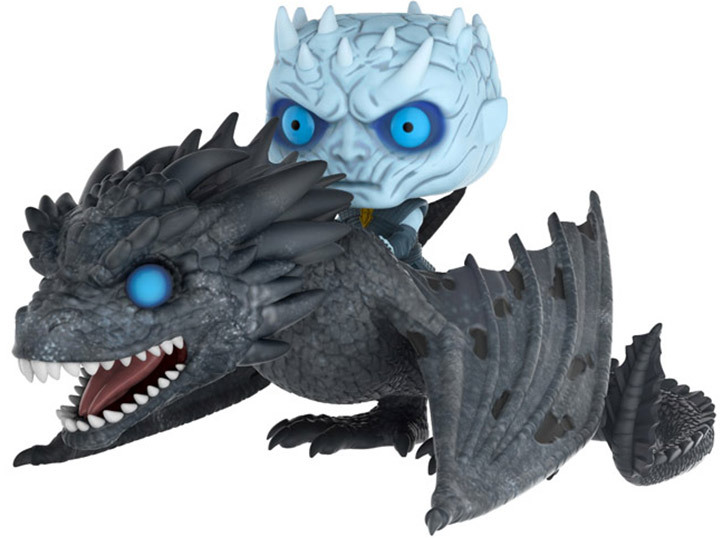 The Night King dragon pop is sure to look awesome in your figure collection. Don't miss out on these Game of Thrones Pop Rides and order yours today!